When news crackled off the wire that the Red Sox had signed Jenrry Mejia it was confirmed: The Red Sox payroll problems are real, and they’re spectacular. The only relief help walking through that door is the thrice failed, suspended-for-life, then reinstated kind. While wandering eyes look for a free agent, there’s a stalwart right in front of us. Matt Barnes is the most reliable, time tested, experienced, and talented holdover whose time has come. Matt Barnes should be The Closer for the Red Sox. 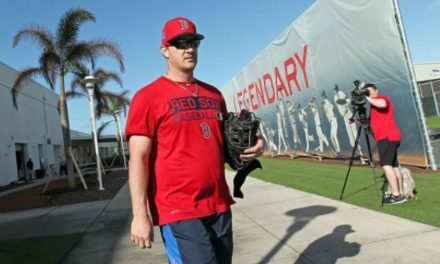 Let’s be honest: If Craig Kimbrel would sign a two year, $20 million deal he would be the closer. But he’s worth more, and the Red Sox won’t pay him. So we have Barnes. Ryan Brasier came out of nowhere to deliver last year. But the book on him is still being written. You better believe the hitters will catch up with him this year. Then there is Matt Barnes. Unlike Brasier, or even Thornburg, Barnes forged his record in the crucible of the AL East. Sure, he walks a few, that’s why his WHIP isn’t closer to 1.0, but his progression is one of an artist honing his craft. He has steadily produced more strikeouts and ground balls. That is the special sauce that creates a successful pitcher. 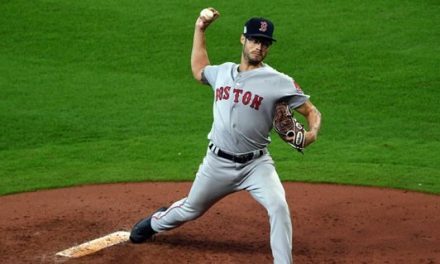 With the Red Sox looking down the barrel of paying Mookie, and the prospect of Sale, Porcello, Bogaerts, and Martinez becoming free agents after 2019, there is scant money left for the bullpen. Tyler Thornburg is coming off injury, Ryan Brasier is new, Durbin Feltman is untested. Matt Barnes has worked his way up to being the set up guy last year. He has been doubted and ridiculed, passed over for starters in the postseason despite pitching lights out. The time is now for Matt Barnes to become the Red Sox closer.